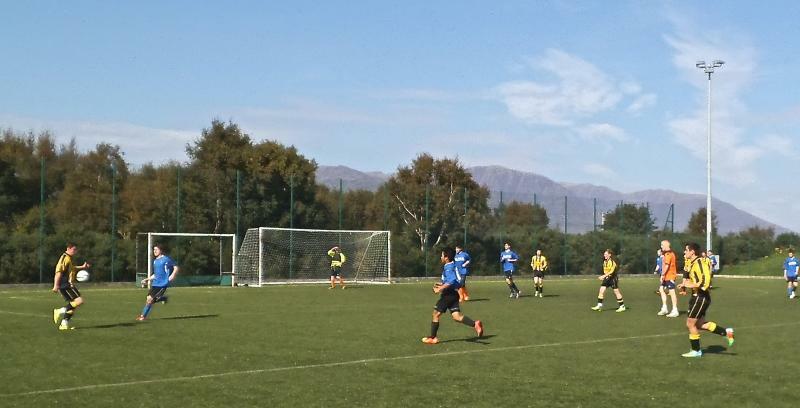 Football report – Plockton vs Gairloch from Callum Mackenzie (S5) – Our Senior football team played Plockton on Wednesday 10th September in the first of a two-match friendly. The first half went well and we were 3 – 2 up with goals from Neil (S6), Kenneth (S6) and Kenneth (S4). At the end of the match we had conceded 7 more goals. We worked hard but the sun was beating down and we were not used to the harsh climate of Plockton. We look forward to the return game when the weather will be on our side! S1 Beach Clean – As part of the SMART course our new S1 completed a beach clean below the golf course on the 8th of September. There are some more photos on the website – you can see them by clicking on the group photo below. Visit to Heritage Museum – On 10th September, our Higher History class visited Gairloch museum to learn about the impact of the Great War on our area. As part of their course, the pupils had already learned about the effects of the First World War on our county as a whole, such as the growth shipyard and munitions industries, the jute industry in Dundee, conscription and the changing position of women. However, the exhibition in the museum complimented the course perfectly since it showed the personal stories of some families in our community during the war. The exhibition also had many interesting artefacts on display. We would like to thank Gairloch Museum for providing some quality learning outside the classroom. Big Debate – Four senior pupils travelled to Glasgow to take part in the BBC Hydro Debate on the 11th September. Ciaran Alexander, Jamie MacLean, Innis Taylor and Jordan Gorman made their way to Glasgow and back in one day to have the opportunity to take part in the televised debate. The boys found the debate very interesting and the trip worthwhile. Big Questions Day – On 12th September S5 and S6 pupils took part in our third annual philosophical and moral debate. This event is part of the curriculum for senior pupils helping them to address what they believe and why. It always provokes discussion and always results in positive feedback although many pupils are uncertain about taking part. We are grateful to help from Donnie MacRae, & Alasdair MacLeod, Gairloch. Alasdair MacLeod, Ullapool and Susan MacLean for assisting Mrs MacRae in running the event. 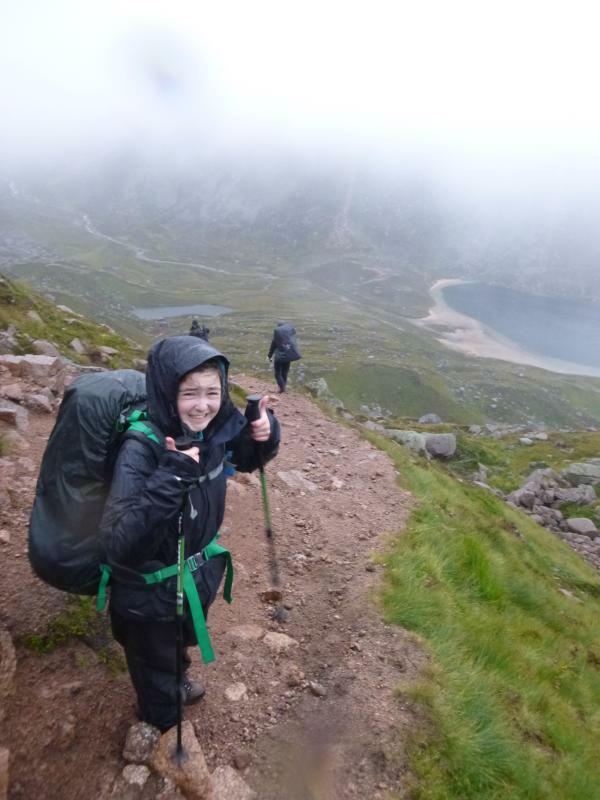 DofE expedition report from Luke Gorman – On the 25th August Isla, Siobhan, Sofie, Innis, Ciaran, Eilidh and I travelled to the Cairngorms to complete our Gold Duke of Edinburgh expedition. We started in the Cairngorm car park and walked through the Lairig Ghru to Corrour bothy where we camped for the night. We woke up the following day to blue skies and a warm sun. We walked up to Devil’s Point then to Angel’s peak via Cairn Toul. On our 3rd day we headed east towards Derry lodge then up through Glen Derry finally reaching our campsite beside Loch Etchachan. Camping at around 900m was quite cold and we woke up on our final day unable to see the tents next to us due to the fog being so thick. We chose to head back the most direct way via point 1141 and down to the car park. We have all gained much experience as a result of our mountainous situations. The day we went to Devil’s Point and beyond was one of my best days ever and will stay with me for a long time. I hope other pupils in school take the Duke of Edinburgh’s award. Our Assessor was very impressed with our group and we all thank her, Mr Johnston and Mrs Bulmer for giving up their time to support us. Click on the photo to see more images form the expedition. 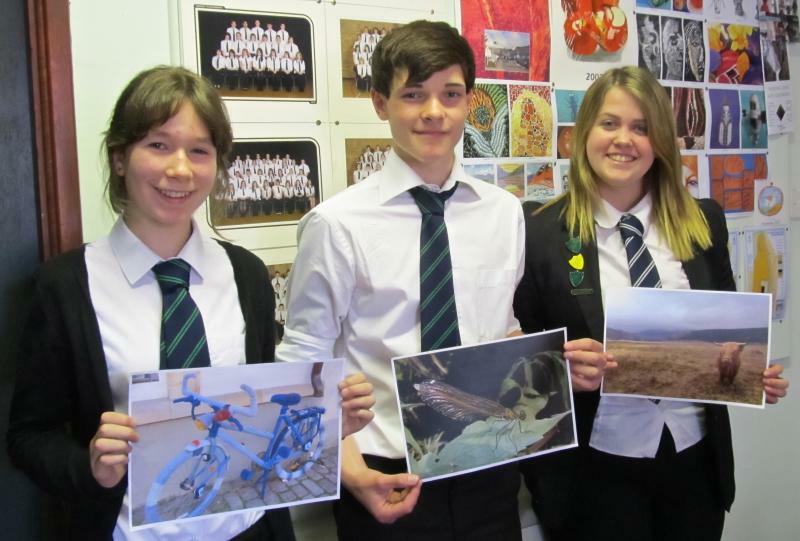 Parent Council Photography Competition – The Parent Council organised a photo competition for school pupils. We had several entries and local professional Gordon Harrison judged the competition. The winner was Iain Nelson (S3) who receives a £10 prize. Iain got first and second place. 3rd was Amy Tattersall (S2). A selection of 6 photos including one from Holly Morrison (S6) will be used by the Parent Council to create photo packs of cards for sale around the community to assist fund raising. Click on the image above to see the six photos chosen by the Parent Council to include in the gift packs. Read more about the Parent Council here on their own part of the school website. Former Pupil Success – Abbie Spence has graduated from Heriot-Watt University with a BSc Fashion Technology with DIT. Congratulations to Abbie! Read about other former pupils here and feel free to inform the school about what you are up to if you used to attend Gairloch High School. Fundraising Appeal for Slattadale Renovation – UPDATED Mr Milner has been organising a variety of fundraising events for Slattadale and we must thank all who have contributed to this project. The school has had support from Julia at the Fundraising Shop, Poolewe Ceilidh, many former pupils and families in the community and beyond. Whether you donate electronically or personally we really do appreciate the support. The current electronic fundraising event is YIMBY on Just Giving. Thanks to your help we met our target much quicker than we expected! If you haven’t already then please help! You can find the link on the school’s Facebook page. Staffing – We are fortunate to have two new members of staff this year. Miss Smith has replaced Miss Dean in Geography and Mr Avenel takes up Mrs Campbell’s classes in French. Both have got off to a good start and we hope that Gairloch High School pupils will benefit from their energy and skills. Mrs Campbell will retire shortly. Her last day will be Friday 19th September. 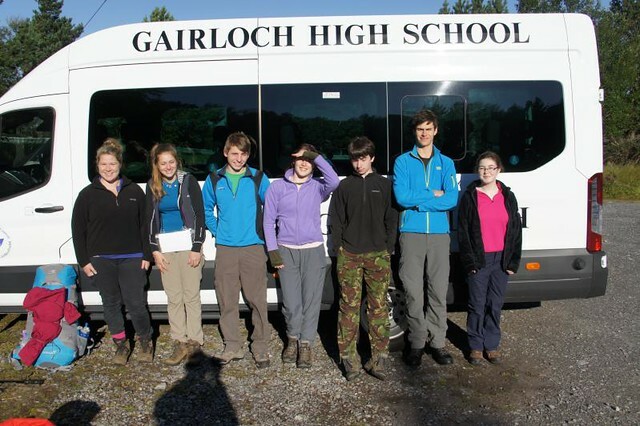 Gold DofE Assessment – On June 8th a group of seven pupils (Sofie, Siobhan, Eilidh, Isla, Innis, Ciaran & Luke) set out from Gairloch accompanied by Mr Johnston and Mrs Bulmer. After a successful training expedition above Glen Affric all that remained was an independent assessment to complete the Expedition part of their Gold Award. This assessment took place in the Cairngorms during the last week of August. The pupils passed through the Lairig Ghru, swung round by Derry Lodge and then up on to the plateau in the area of Carn Etchachan. On the final day, as the weather deteriorated, they made a timely descent back down through the Northern Corries. The pupils now need to create a final presentation reporting on the bird survey they carried out as part of this expedition. Well done to all involved! Click on the image for more pictures of this expedition. John Muir Award – S2 pupils were presented with their Discovery awards. These were actually achieved as part of their S1 SMART Course. Well-done S2! 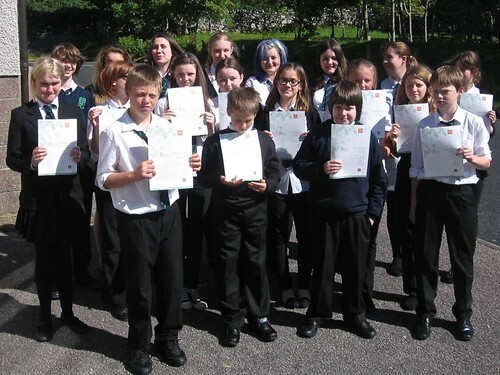 Exam Results 2014 – Gairloch High School pupils received their exam results in the post on Tuesday 5th August 2014. In S5 and S6 the school has recorded improved grades in Maths and English attainment. The percentage of pupils in S6 achieving at least one Advanced Higher qualification has increased this year to nearly 1 in 4 pupils. In S5 nearly twice as many pupils achieved 5 Higher passes than last year. In S4 new exams were introduced and sat for the first time this year. National 4 and 5 exams have replaced Standard Grade exams and it is difficult to make direct comparisons, as they do not align easily. However most teachers seem to have judged the new exams correctly and pupils in S4 have gained a good set of results. The statistics prepared by Highland Council indicate that the numbers of pupils achieving grades at specific levels has been maintained by Gairloch pupils. This is in spite of National 5 exams being set at a more difficult level. These results will be a relief to many! Over the next few weeks the school staff will be able to analyse national statistics and a much closer look at performance in each subject will take place. Pupil Success – Sean Quinn (S3) followed up his recent theatre experience in Lord of the Flies by taking part in a workshop at Eden Court during the summer holiday. Sean spent a week working with Ballet Rambert. Eilidh Johnston (S4) has just finished some work experience at the Blair Atholl Horse Trials. It was good to read in previous issues of pupils benefiting from a wide range of experiences with the Air Scouts, ATC and other local organisations over the summer. 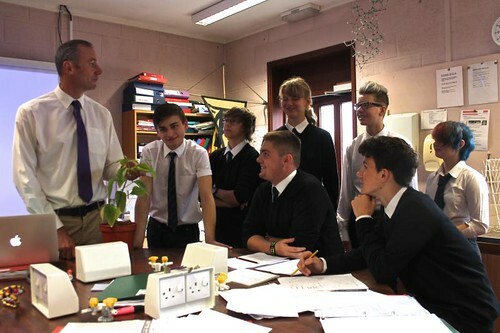 Rolls Royce Science Prize 2015 – Gairloch High School Science Department has reached the final of the 2014-2015 Rolls Royce Science Prize. Gairloch is the only Scottish School to progress to the final. Nine finalist schools will develop their projects and be judged in November 2015. The national winner of the £10000 prize will be announced during an event at the Science Museum in London. We have been awarded £6000 to progress our project over the next year. Mr. Andrew Johnston has developed the project proposal based on developing Broad General Education in S1 to S3 with the support of other staff and partners. The project is a development of several strands of work at Gairloch High School. Students will work with Professor Dave Barclay, a locally based and eminent forensic scientist, to solve cases based on real events. They will work with former pupil and PhD student Jennifer Port (Beatson Institute & University of Glasgow) to improve their understanding of PCR and forensic DNA testing. Students will work with Mr Ranjan Thilagarajah, a consultant surgeon who is involved in using technology to advance medical education in the developing world. With his help, we will use information and communications technologies to stream our science sessions to other schools in real time and to archive them afterwards. We will build a bank of materials that will support the broad, general education of our S1, S2 and S3 pupils, all based around the need to properly examine evidence before drawing a conclusion. As well as developing this work in school it is our intention to provide training for other Science teachers across Highland and make some of our new resources available for wider use in Highland Schools. Read the official Highland Council press release here. Corrections to the awards presented at prizegiving as printed in the July 11th School News within the Gairloch & District Times: Neil Wilkie Memorial Trophy – Gemma McLean & Donald MacKenzie: Junior School Trophy for Service & Achievement – Sara Johnston & Iain Nelson Apologies for the mistake in the printed version!